At this point in the Minecraft hype-cycle, it’s noteworthy to point out that there isn’t already a Minecraft novel. It’s enjoyed a fair-to-middling performance in the gaming market, MINECON just wrapped up in Anaheim, and Rob McElhenney will be directing the eventual Minecraft feature film (presumably when he’s concluded cultivating mass.) At the very least, a breezy Minecraft paperback would give kids something to do after an airport layover has depleted their touchscreen batteries, while parents plow through Clive Cussler’s Sahara. Satisfying this market opportunity has fallen to author Max Brooks, who knows a thing or two about harnessing pop-culture trends. 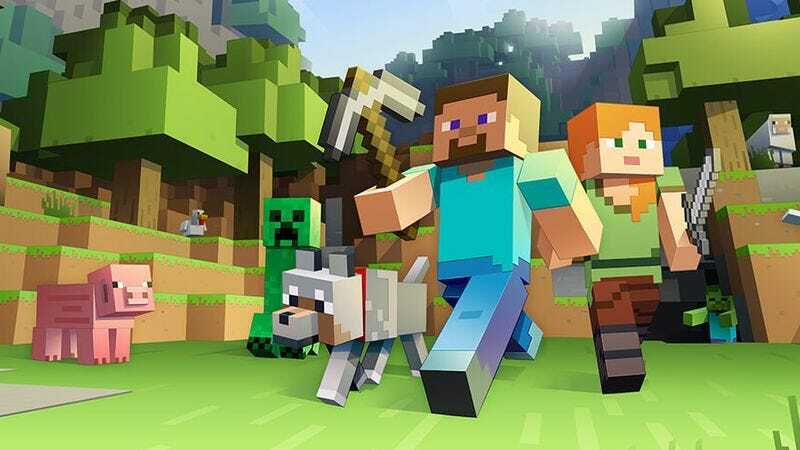 Brooks first rose to prominence with the tongue-in-cheek The Zombie Survival Guide, and the tongue-out-of-cheek World War Z. Minecraft developer Mojang has confirmed the book, titled Minecraft: The Island. It’s not clear if the book will be related to the film. But publisher Del Rey has already indicated the most important aspect—namely, that Minecraft: The Island is the first of a series. That opens the door for subsequent Minecraft and island-themed entries, like Minecraft: The Most Dangerous Game, Minecraft: Shutter Island, Minecraft: The Tempest, and Minecraft: How Deep Do I Have To Dig Before I Find Some Goddamn Diamond Ore? Presumably Brooks is only on contract for the flagship entry, and would likely hand duties off to others as he pursues the next zeitgeist in need of novelization—perhaps a ripping yarn about Pokémon Go. While Del Rey will endeavor to make Minecraft the definitive series for readers keyed into advanced Redstone circuitry and fortifying structures against Creepers, Minecraft-overlord Microsoft is poised to start farming academic blocks: Minecraft: Education Edition will be available to Windows and Mac users November 1.